Our Dewdrop Designs Sustainable Leather iPad case has been included in Ecouterre’s list of 14 sustainable iPad cases. We love its modern yet classic look and believe this iPad case really stands out among its competitors, a number of which can been seen on Ecouterre as well. Made with buttery soft leather that was upcycled and dyed with natural dyes, the Dewdrop Designs cases are stylish and sustainable too. 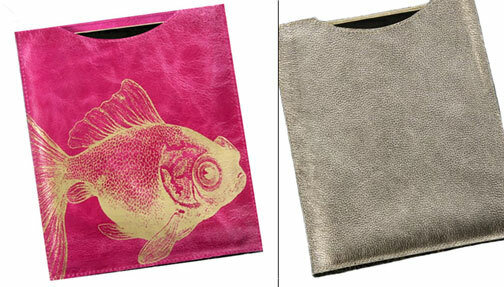 And just in time for spring, Dewdrop Designs has also introduced some great new colors including a metallic grey. You can see the rest of the colors at Fresh Unlimited. Perfect as a graduation gift or groomsmen / bridesmaid gift!